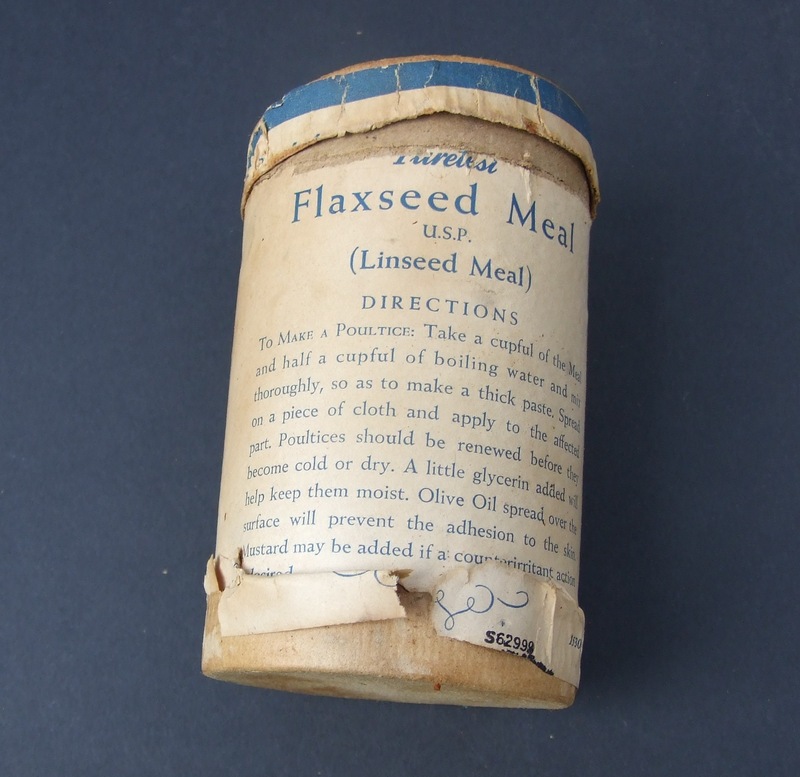 Old linseed & flax remedies Flax Farm | Linseed Oil for your well-being. Linseed is useful in many forms. It is especially popular as a remedy for persistent coughs, catarrh and asthma. It has many more interesting uses as a remedy. 1. Kay’s Compound Essence of Linseed, Aniseed, Senega, Squill, &c.
selection linseed cough linctus bottles. 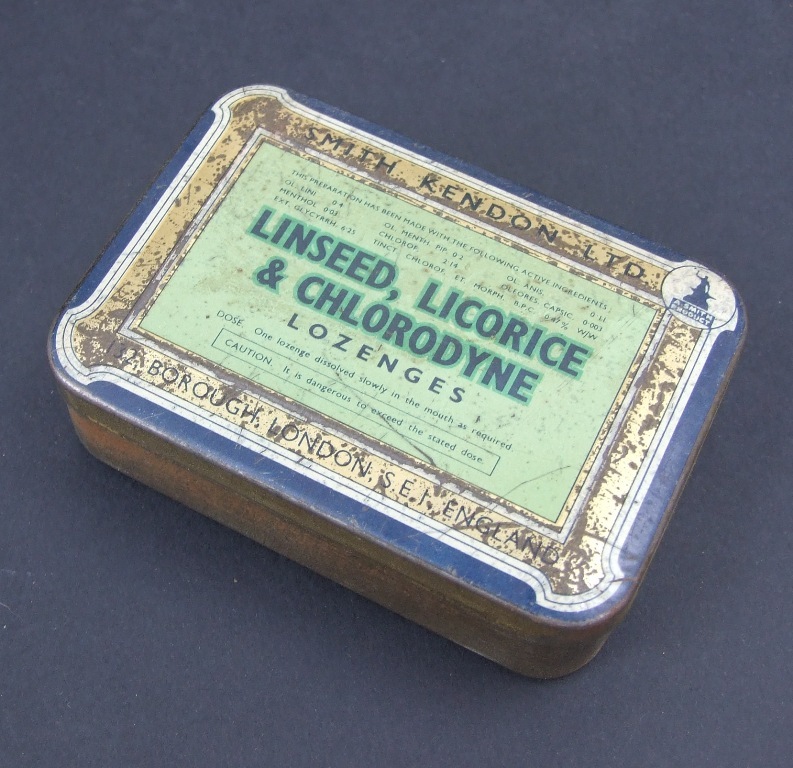 Several companies made and promoted linseed combined with other natural plant extracts to make the best cough remedies of their day. C. Dutton & Son’s, wholesale druggists of Bolton. 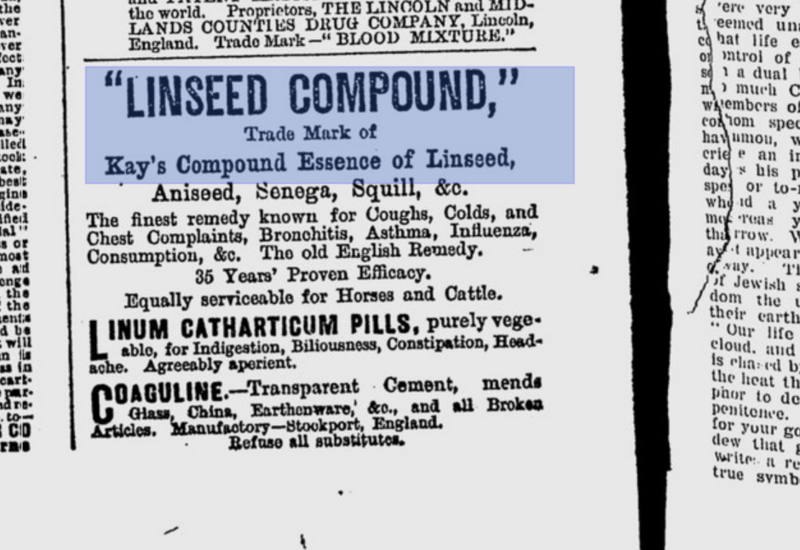 Chest & lung mixture, Syrup of linseed and liquorice. From Smith Rendon of Borough, London SE1. 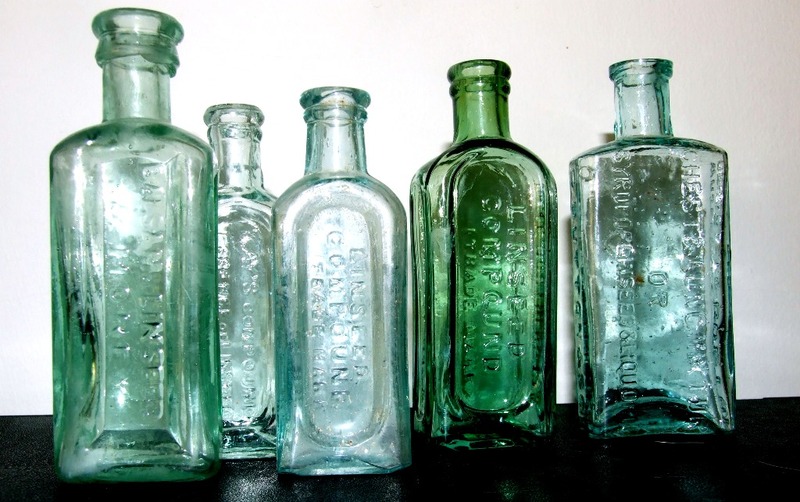 Chlorodyne was a patent medicine of the UK from 19th century. It was a formulation of laudanum, (alcoholic opium extract) cannabis and chloroform. Added to cough medicine it would help suppress coughs. “Pure, fresh unexpressed, containing all the natural oil…useful for poultices for relieving pain and congestion, or to hasten suppuration”. See also the Budwig diet and the use of linseed oil (Eldi oil) for compresses to relieve pain, and the Royal Army Medical Corps nicknamed the Linseed Lancers because of the linseed poultices they used to treat casualties in WW1. This entry was posted in Blog, Flax Museum, Health, History, Remedies and tagged catarrh remedy, congestion remedy, cough, cough remedy, linseed and liquorice, linseed balsam, linseed lancers, linseed poultice, linseed remedies, pain relief, poultice.